Paddle mixers are constructed around a horizontal rotating axis with broad shearing paddles radiating from spokes around the axis, similar in construction and application to ribbon blenders. Precision paddle mixers have forward facing and reverse facing paddles which help to properly rotate material from one end of the tank to the other and back. The axis and paddles of Paddle Mixers are generally contained in a semi-cylinder of stainless steel or aluminum alloys; pneumatic powder feeders, liquid dosing feeders and outlets are often integrated as part of a paddle mixing system for easy, precise ingredient adding and product extraction. Because paddle mixers’ efficient shearing motion creates relatively little resistance during mixing, paddle mixers are often used for mixing heavy resistance solids, wet-dry mixing, slurry mixing and other high viscosity liquid mixing applications such as plaster, detergents, caulking, rubber, oil sludge and fertilizers. Paddle mixers with close-tolerance design can mix effectively at as low as 20% volume capacity, acquiring less wear than ribbon blenders and other types of agitators due to its low resistance design and slower required mixing speeds. Paddle mixers are used commonly for mixing dry materials such as coffee, sugar, minerals, drywall, chemicals and agricultural feed among many other food, pharmaceutical and chemical products. 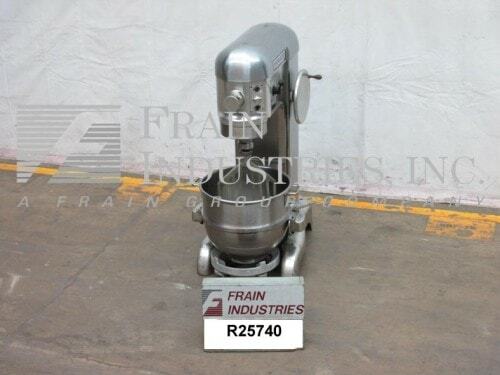 Paddle mixers have the same configuration as ribbon blenders which means they are usually housed in a semi-cylinder. Ribbon blenders have long ribbon-like paddles that circle around a central axis, shearing through friable materials as the axis turns. Instead of ribbon shapes, these mixers have paddle-shaped blades protruding from the axis. Within the single category of industrial mixers, there are many kinds and varieties of these machines that have been specialized. In terms of processing speed and style, there are two modes. Batch mixers are the more common of the two kinds. Mixing begins after a substance is poured into the industrial mixer. Once mixing is complete, the substance is poured out of the mixer for further processing and the mixer is then cleaned before being refilled. Continuous-feed mixers can handle a steady flow of material. Paddle mixers may be static mixers if the blades are fixed and do not rotate. Instead, the flow of the material itself performs the mixing. Another kind of industrial mixer is a drum mixer which consists of a rotating drum on the frame. High shear mixers offer shorter mixing times than standard mixers. The speed of the product at the tip of the rotor is higher than the speed at the center which emulsifies immiscible materials. Paddle Mixers Paddle mixers are a type of agitator used in the mixing, blending and conditioning of dry friable materials, sludges and slurries.